Looking for electives? 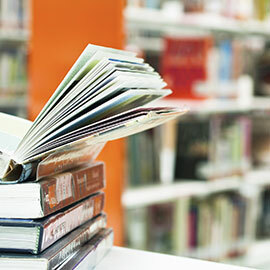 Check out our top picks from Laurier's cool new course selection. Note: Refer to the undergraduate academic calendar for official course descriptions and additional course information. Study the dynamics of institutions and social change through topics such as; aging, social movements, families, religion, education, health and medicine, the environment, and crime and deviance. This course aims to investigate recent concerns that culture, heritage, and archaeology are under threat across the globe. Looting, warfare, climate change, and political upheaval are among the reasons that many regions are struggling to maintain their cultural patrimony. Students will assess the impact of these threats and consider policies that could be adopted for addressing these concerns in different regions. Fairy tales are short, yet their spell seems everlasting. Do fairy tales still enchant you? Do you enjoy Disney films or fairy tale adaptations? Do you want to learn about how fairy tales evolved historically? If so, then this is the course for you! Studying a variety of fairy tales, we will explore how fairy tales evolved historically and continue to impact our lives today. This course surveys the historical development of English public law and constitutional traditions. Emphasis will be placed on the specific political, social, and religious contexts in which key constitutional and legal documents were created. Combine your interest in the French language with your love of music. Taught entirely in French, students will listen to French-language music of diverse genres and national origins, analyze song lyrics in depth, share music with their peers, and create a music video in which they sing (yes, sing) the French song of their choice. Prerequisites: FR150 or permission of the department. This course will explore the interaction of Indigenous peoples with archaeology. A brief history of Indigenous archaeology will be presented at the outset, followed by investigation of such topics as Indigenous rights, Indigenous knowledge and oral history, ownership of the past, repatriation, community-based research, and ethics in archaeology. The goal of the course is to explore how Indigenous peoples and archaeologists can overcome the legacy of colonialism and work together to best serve the interests of Indigenous peoples and archaeology. Do you thrive in a learning environment removed from a classroom setting? With a significant portion of this course taking place off campus, students will work closely with local stakeholders to address needs in the areas of environmental sustainability, community cohesion and economic development. War can be considered among the cruelest human endeavours; its suffering is unleashed on combatants and civilians alike. This course examines the attempts by the International Committee of the Red Cross to impose limits on war and suffering through International Humanitarian Law. Students will study the origins and evolution of this legal framework, as well as its transgressions: war crimes. In this capstone course, students will work on a project within a problem-based learning context that deals with aspects of urban planning and development. Students will research, analyze and resolve a local issue identified by a community partner and propose solutions grounded in principles of sustainability. Prerequisites: Registration status: Year 3 or Year 4 department honours program, or permission of the department.